Social background: lower middle-class. Father was fixing cars for a living. Education: high-school certificate. Dropped out of Reed College after one semester. 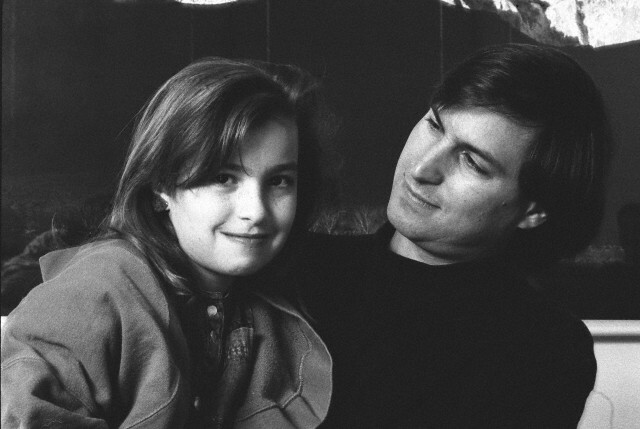 Children: Lisa Brennan-Jobs (born 1978), with unmarried girlfriend Chris-Ann Brennan. Reed (born 1991), Erin Siena (born 1995) and Eve (born 1998) with wife Laurene. 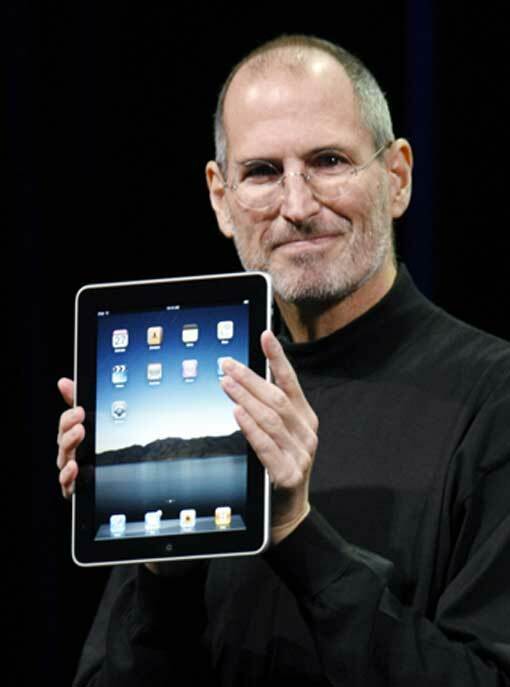 Steve Jobs was the CEO of Apple Computer, a leader in the field of personal computing which he co-founded in 1976, and Pixar, the Academy-Award-winning animation studio he co-founded in 1986. His innovative idea of what a personal computer should be led him to revolutionize the consumer computer hardware and software industry. 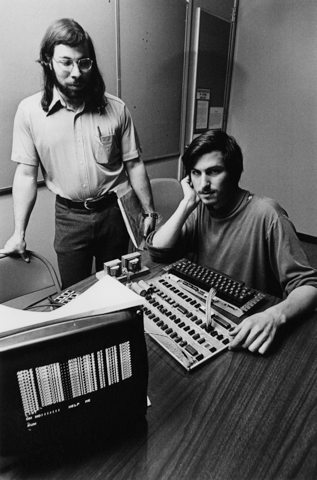 When Jobs was twenty one, he and a friend, Steve Wozniak, built a personal computer that they called the Apple. The Apple changed people's idea of what a computer should be. Thanks to the Apple, people's image of computers changed from being a gigantic and inscrutable mass of vacuum tubes only used by big business and the government to a small box used by ordinary people. No company has done more to democratize the computer and make it user-friendly than Apple Computer. Steve Jobs software design for the Macintosh introduced the windows interface and the mouse which set a new standard for graphical interface applications and interface interaction. 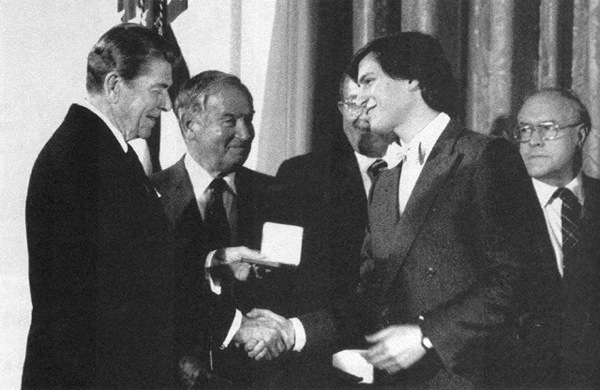 Jobs was an unlikely candidate to have become the prototype of America's computer industry entrepreneur. 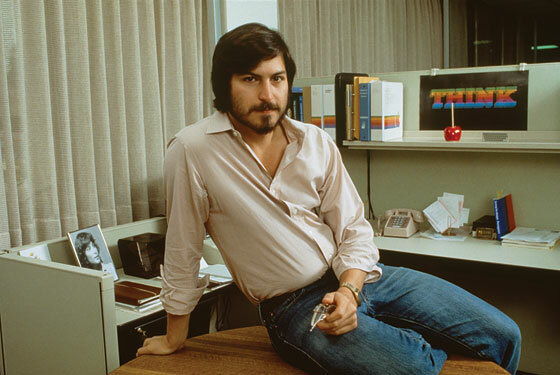 While still in high school, Jobs attended lectures at the Hewlett-Packard in Palo Alto. He was also hired as a summer employee for Hewlett-Packard. At Homestead High School, Steve befriended Bill Fernandez, a neighbor who shared his interests in electronics. It was Bill who first introduced him to another computer whiz kid, an older guy named Stephen Wozniak, or — as everybody used to call him — Woz. 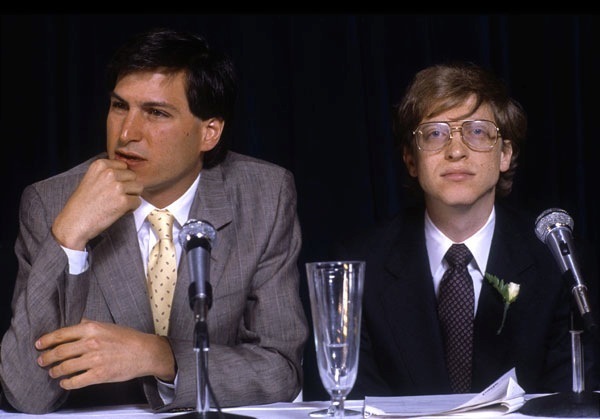 Steve and Woz met in 1969, when they were respectively 14 and 19. 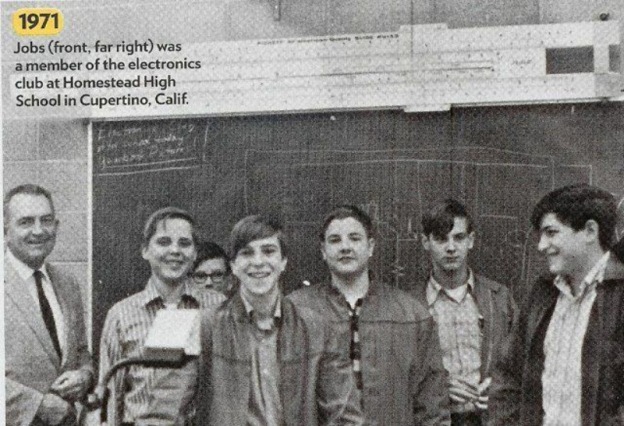 At the time, Woz was building a little computer board with Bill Fernandez that they called “the Cream Soda Computer”. Woz showed it to Steve, who seemed quite interested. 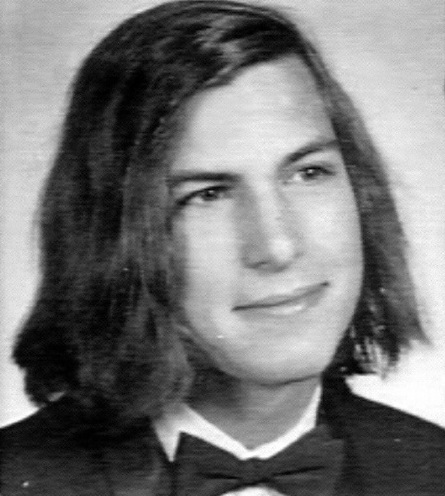 In 1972 Jobs graduated from high school and register at Reed College in Portland, Oregon. 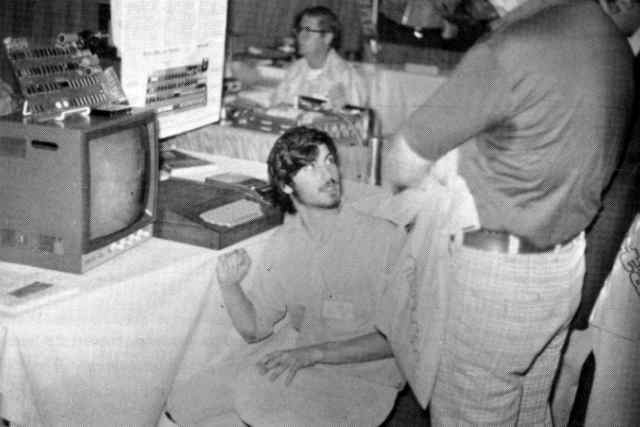 In 1974, Jobs took a position as a video game designer with Atari. Several months later he left Atari to find spiritual enlightenment in India, traveling the continent and experimenting with psychedelic drugs. In 1976, when Jobs was just 21, he and Wozniak started Apple Computers. 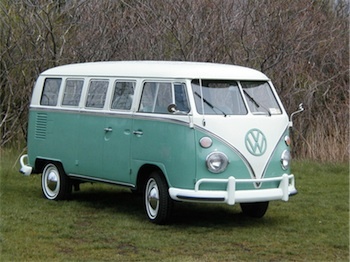 The duo started in the Jobs family garage, and funded their entrepreneurial venture after Jobs sold his Volkswagen bus and Wozniak sold his beloved scientific calculator. 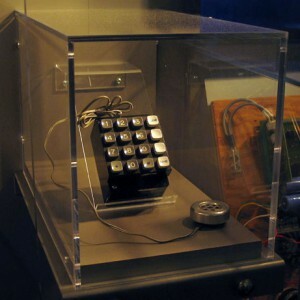 The two designed computer games for Atari and a telephone "blue box". Although he was not really interested in creating electronics, he was more interested in helping to add value to people's lives, his business sense for the marketability of these products was the turning point. He asked his engineering friend Wozniak to help him build a personal computer. With that initial capital and credit lines with local electronics suppliers, they set up their first production line. Jobs encouraged Wozniak to quit his job at Hewlett-Packard and become the vice president in charge of research and development of the new enterprise. Beginning work in the Job's family garage they managed to make their first big sale when the Byte Shop in Mountain View bought their first fifty fully assembled computers. On this basis the Apple Corporation was founded. The name is allegedly based on Job's favorite fruit and the logo chosen to play on both the company name and the word byte. 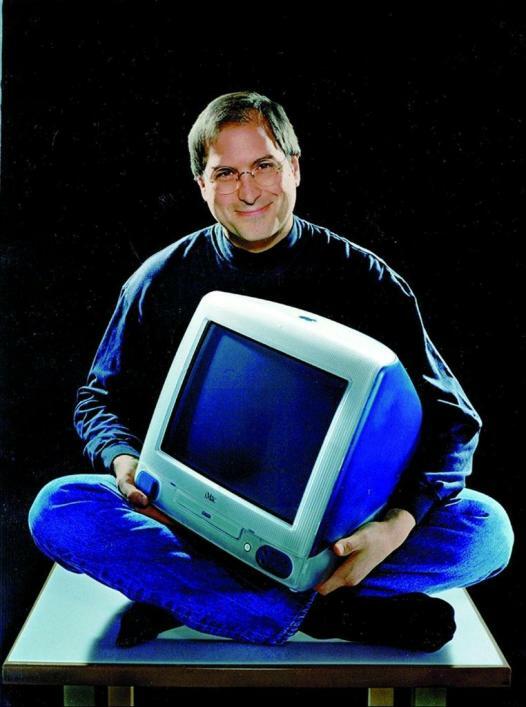 Steve Jobs was a true visionary who created the first truly personal computer, the Apple, in his garage with Steve Wozniak . From calculating federal taxes to executing individual business operations, Jobs lead a hardware revolution by reducing the size of computers to small boxes and introducing them to the masses. 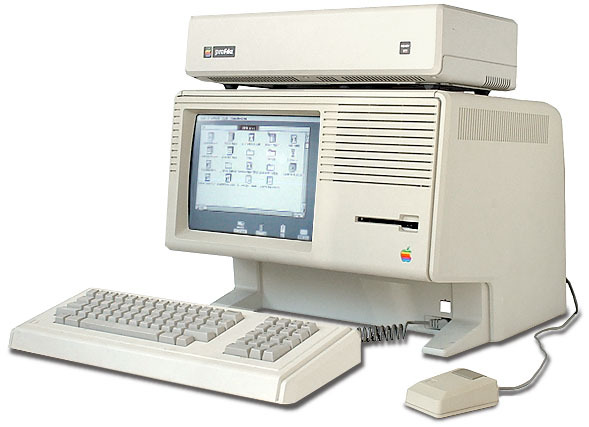 The development of the Macintosh re-introduced Xerox's innovative idea of a user-friendly interface with a mouse. The Macintosh used a windows interface which contained picture-like icons representing a function or a program to be executed. The user would use the mouse to move a cursor onto the icon and press the mouse button to execute the function or program. 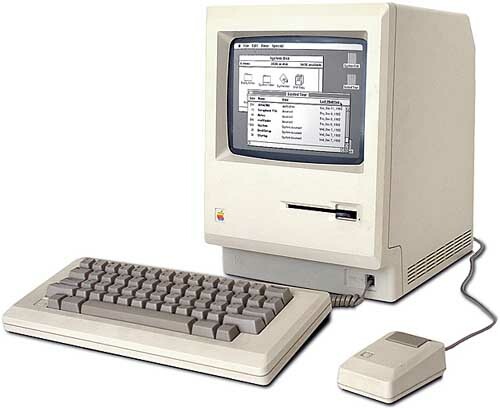 The Macintosh interface has since been copied by every operating systems manufacturer in the world and become the standard interface format for both personal computers and super-computers. On September 12, 1985 Steve Jobs stood up in an Apple board meeting and after years of internal political turmoil and power struggles, said in a flay, unemotional voice, "I've been thinking a lot and it's time for me to get on with my life. It's obvious that I've got to do something. I'm thirty years old." Resigning as chairman, Steve said he intended to leave the company and start a new venture to address the higher education market. 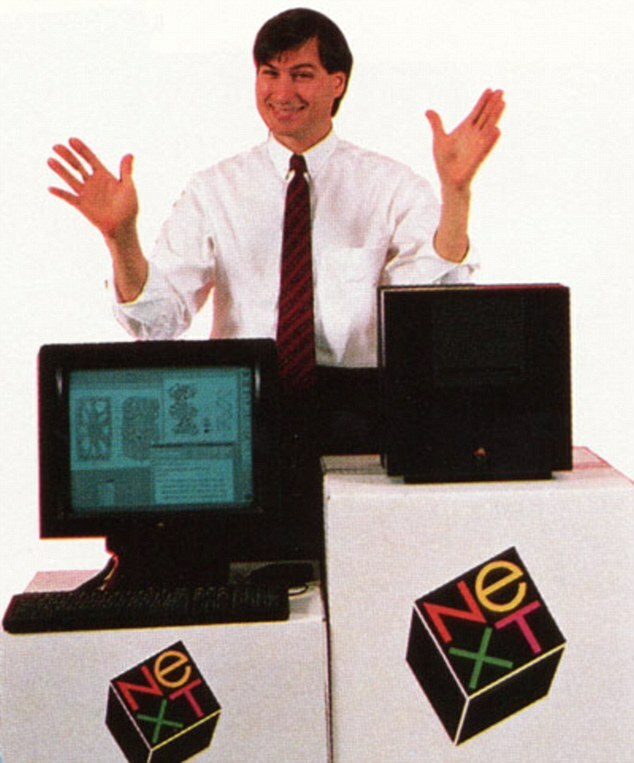 In 1985 founded a new hardware and software company called NeXT, Inc. The following year Jobs purchased an animation company from George Lucas, which later became Pixar Animation Studios. 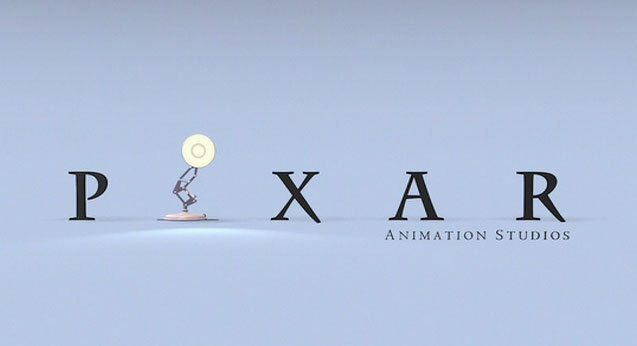 Believing in Pixar's potential, Jobs initially invested $50 million of his own money into the company. Pixar Studios went on to produce wildly popular animation films such as Toy Story, Finding Nemo and The Incredibles. Pixar's films have netted $4 billion. The studio merged with Walt Disney in 2006, making Steve Jobs Disney's largest shareholder. Despite Pixar's success, NeXT, Inc. floundered in its attempts to sell its specialized operating system to mainstream America. 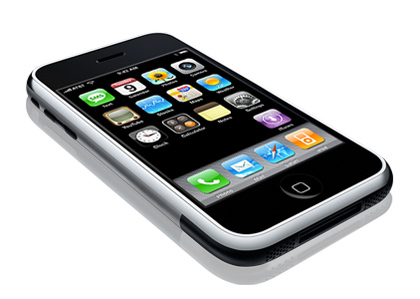 Apple eventually bought the company in 1997 for $429 million. That same year, Jobs returned to his post as Apple's CEO. 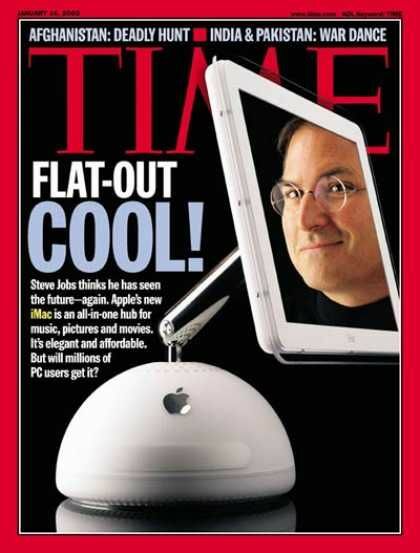 Much like Steve Jobs instigated Apple's success in the 1970s, he is credited with revitalizing the company in the 1990s. With a new management team, altered stock options, and a self-imposed annual salary of $1 a year, Jobs put Apple back on track. His ingenious products such as the iMac, effective branding campaigns, and stylish designs caught the attention of consumers once again. 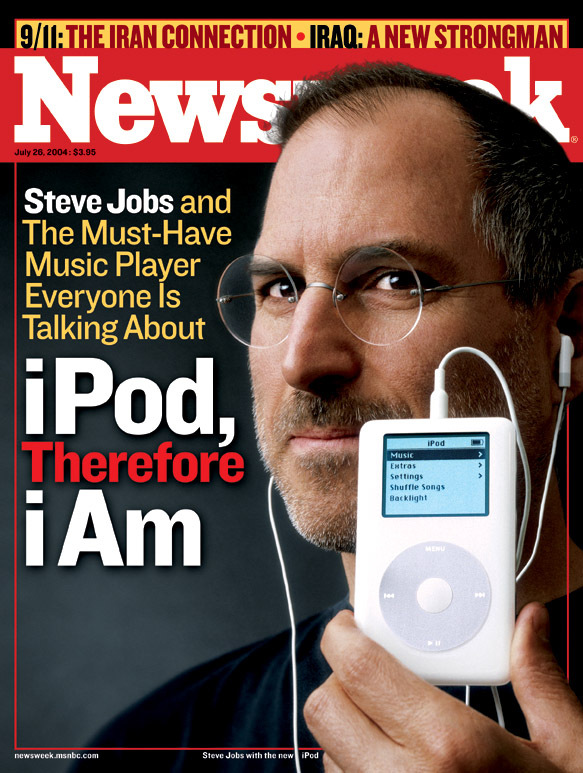 On October 5, 2011, Apple Inc. announced that co-founder Steve Jobs had died. He was 56 years old at the time of his death. 1955: Born in San Francisco on 24 February to Joanne Simpson and Abdulfattah Jandali. Adopted in infancy by Paul and Clara Jobs of Mountain View, California. 1969: Jobs lands a summer job at Hewlett-Packard, having previously cold-called company co-founder William Hewlett to ask for parts to build a frequency counter for a school project. 1972: Jobs enrolls at Reed College in Portland, Oregon, but drops out after a semester, instead choosing to audit classes. Woz and Steve started their first entrepreneurial venture. It was 1972, and on US campuses, there was a lot of talk about “phone phreaks.” They were early computer hackers that managed to build “blue boxes” — little devices that fooled AT&T’s long-distance switching equipment, and allowed you to make phone calls for free. Woz read about them in an article which he showed to Steve. They both tried to build one, and to their surprise, it worked! It was Steve who came up with the idea of selling them; he and Woz would go from room to room in Berkeley’s dorms, where Woz was a student, and sell them to interested students. However, this business was illegal and the two of them stopped after they almost got caught by the police. 1974: He takes a job as a technician at videogame company Atari but, after a few months, leaves for India in search of spiritual enlightenment. 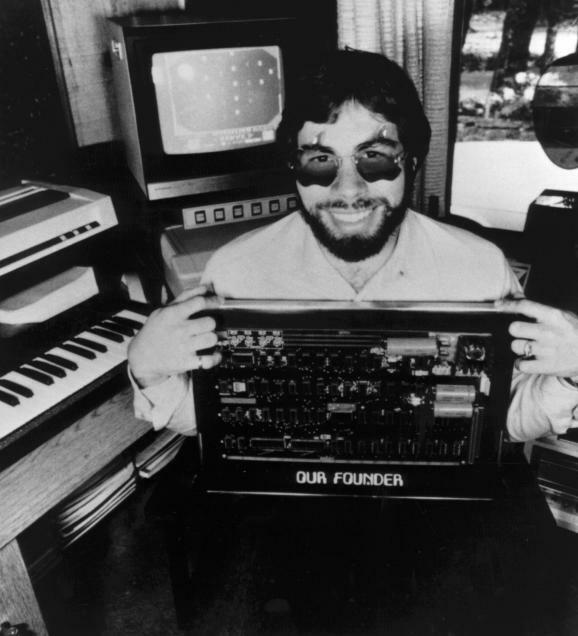 1975: After attending a number of Homebrew Computer Club meetings, Jobs and Wozniak build a protoype computer. 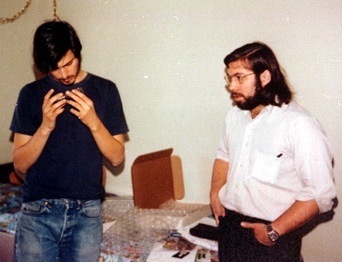 Steve Jobs and Steve Wozniak in 1976, when they founded Apple. 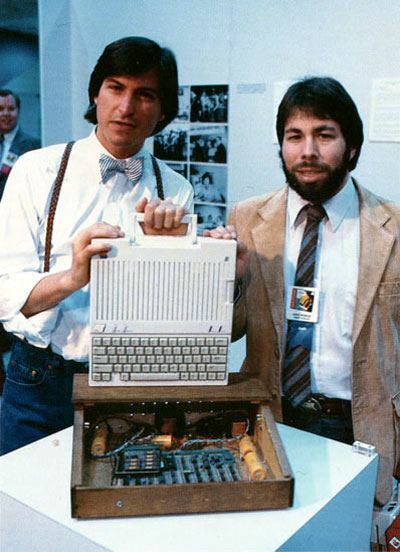 Jobs sold his Volkswagen minibus and Wozniak his two Hewlett-Packard calculators to raise the money they needed. 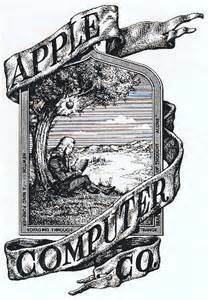 1976 -- Founds Apple Computer Company with Wozniak and Ronald Wayne on April Fool's Day. Wayne sells his stake two weeks later. 1977: Jobs and Wozniak launch Apple I for $666.66, the first single-board computer with a video interface and an onboard Read Only Memory (ROM), which instructed the machine on how to load programs from an external source. Revenue reaches $1million. 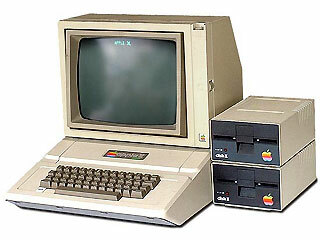 Apple Computer founded by Steve Wozniak and Steve Jobs introduced the Apple II. Based on a board of their design, the Apple II, complete with keyboard and color graphics capability. 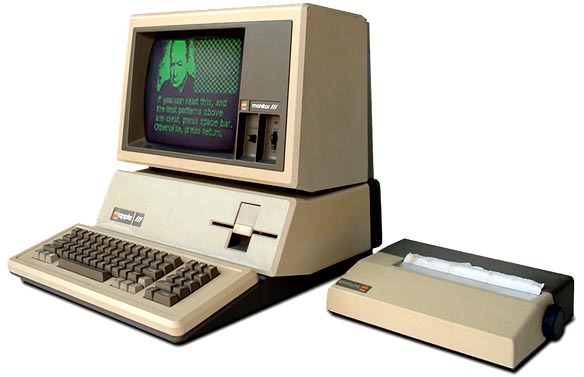 1980: The Apple III is launched but is a commercial failure. 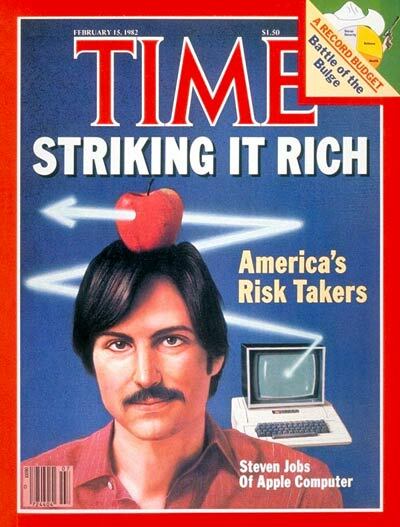 1981 -- Jobs involves himself in Macintosh development.He tried to insufflate the team with entrepreneurial values, calling them rebels and artists, while the other Apple employees were bozos. The team was even in a separate building on Bandley Drive, where Steve hung a pirate flag: “better be a pirate than join the Navy,” he said — meaning the Navy was the rest of Apple. 1983: The mouse-controlled Lisa computer, named after Jobs' daughter, goes on sale. 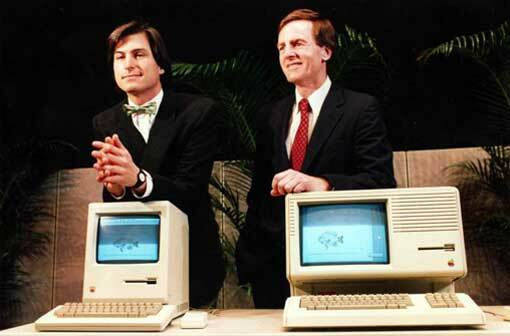 Jobs recruits John Sculley from Pepsi-Cola to serve as Apple's CEO. 1984: Apple launches the Macintosh, which garners much attention, especially after a Ridley-Scott directed commercial aired during the Super Bowl, but sales fail to take off. 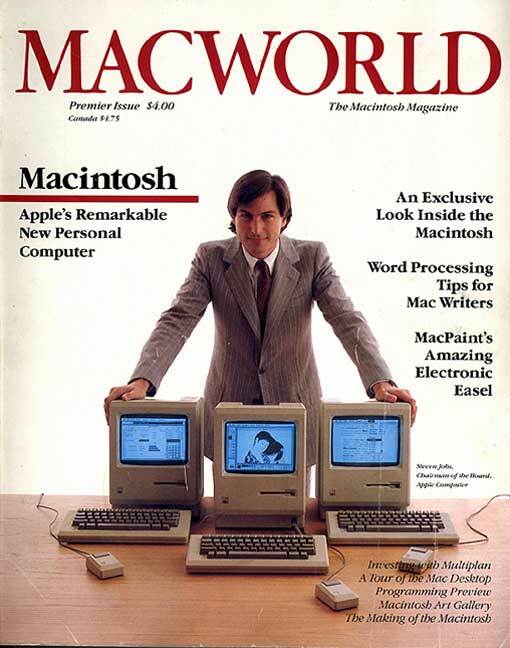 1985: Apple declares its first quarterly loss and is forced to sack 1,200 employees. Jobs resigns from the company following an argument with Sculley and founds NeXT Inc, a computer company making high-end machines for universities. 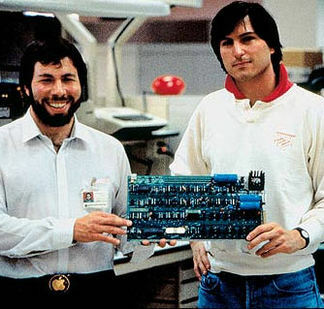 Steven P. Jobs and Stephen Wozniak -Apple Computer, Inc. For their development and introduction of the personal computer which has sparked the birth of a new industry extending the power of the computer to individual users. 1989-Next launches $6,500 NeXT Computer, also known as The Cube. It comes with a monochrome monitor, and fails in the marketplace. 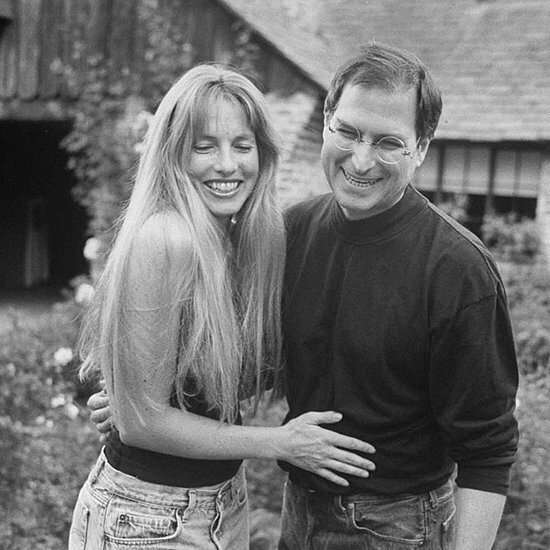 1991: Jobs marries Laurene Powell. 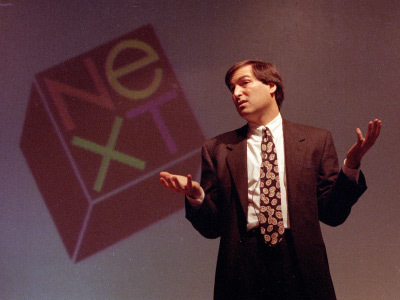 1993: NeXT shuts its hardware division and shifts focus to software. 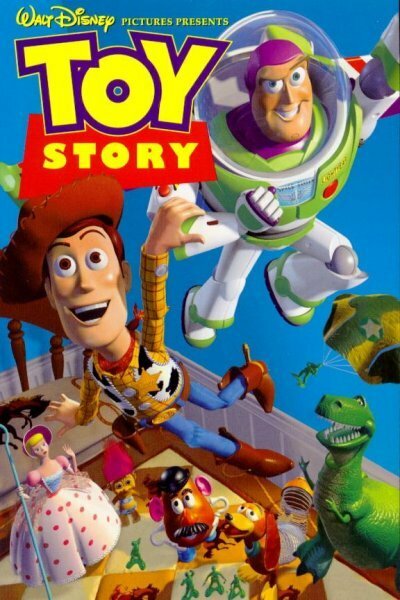 1995: After being contracted by Disney to make computer-animated feature films, Pixar releases Toy Story to critical and commercial acclaim, becoming the highest grossing film that year. 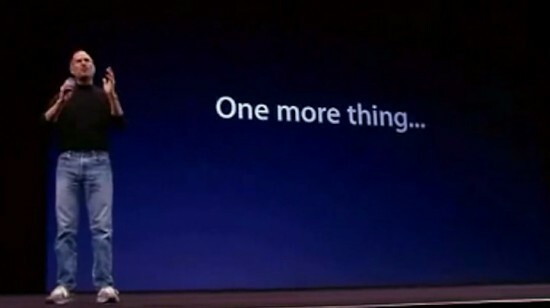 2000: Apple removes 'interim' label from Jobs's CEO title. 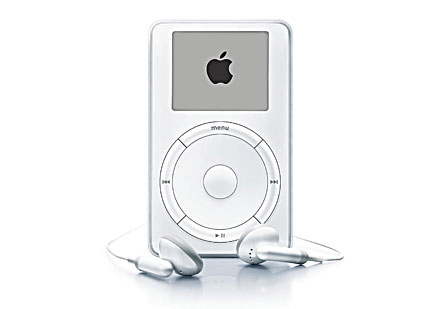 2001 -- Apple launches the iPod, the portable MP3 player.